Sorry to disappoint right off the bat, but this is not an official Lego set. It’s the creation of Russian brick enthusiast who goes by RM8, but it’s something Lego should seriously consider offering. In addition to realistic proportions, the Lego Cruiser features doors that lock and open, a hinged hood, and and opening “ambulance” style rear doors. The suspension articulates, the wheels steer and there’s even space to install a radio control motor for self-propulsion. 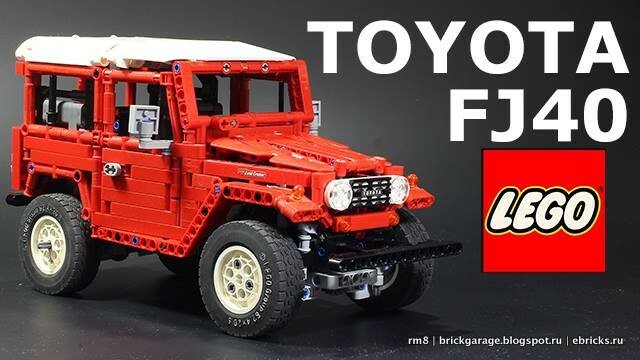 Though we’ve seen regular JNCs made of Legos before, there’s something about the old boxiness of the Land Cruiser that just makes sense in plastic brick form. Still, there’s only so much detail you can get with Legos, and so RM8 created custom decals for details like the instrument pod and badging. 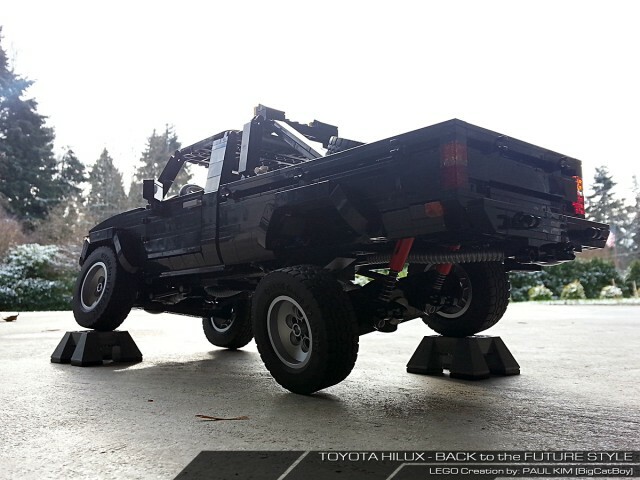 There’s even a long wheelbase FJ45 version. Both can be equipped with working accessories like a snowplow or winch. 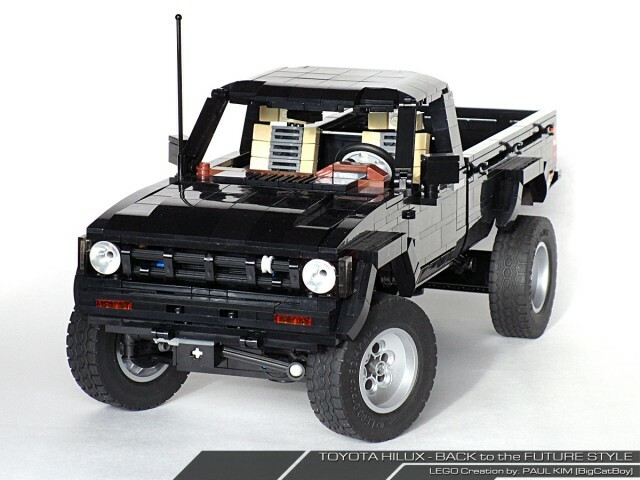 Meanwhile in the US, Paul Kim has created the iconic Toyota Hilux from Back to the Future out of Legos. Marty’s dream ride is perfectly captured in all its black, lifted glory. Bonus points to Paul for capturing Toyota’s 80s brown and tan interior scheme, complete with old school stereo receiver and contoured seats, and for including both the stick shift and 4WD gear selector. Hinged doors and hood are part of the design, and there’s the option of a clean bed or a roll cage with yellow spotlights and Baja-style spare tire rack. Under the hood, what appears to be a Chevy LS V8 has replaced the stock 22RE. Articulated suspension is a must, and the red shock absorbers are a proper touch. You can see more of Paul’s work at his Flickr page. For what it’s worth, RM8 is also working on an old school Toyota Hilux. You can see more of his work at Facebook page. tagged: fj40, fj45, hilux, land cruiser, lego, toyota. These are very cool !! The beauty of Lego is that with enough patience and the right parts, you can replicate these yourself! …..till your up one night wanting to go to the bathroom half asleep and randomly step on a brick on the floor in the dark. 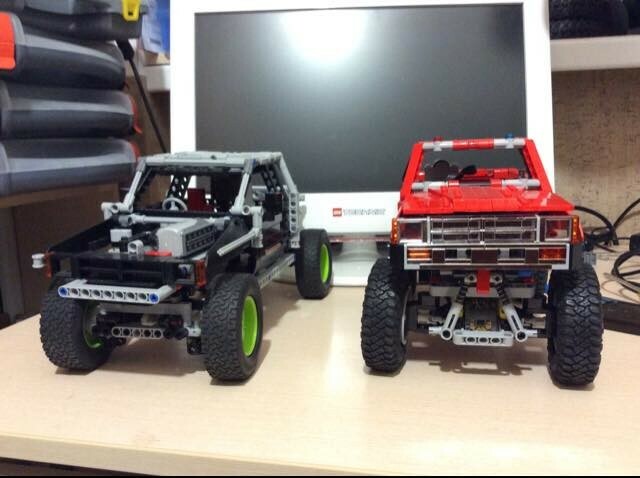 My two great loves…Toyota & Lego!! !